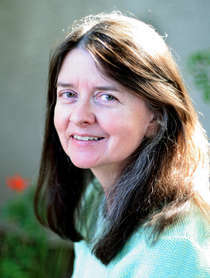 A longtime journalist in Tucson, Margaret started writing about the border in 2000. She’s been writing for the Tucson Weekly since 1990. She has won many journalism awards for her arts criticism, her border reporting, and her stories on the Irish immigrant experience. She also reports regularly on the arts for The Buckmaster Show, KVOI Am 1030, Tucson. She’s a regular speaker at the Tucson Festival of Books. On a bright Phoenix morning, Elena Santiago opened her door to find her house surrounded by a platoon of federal immigration agents. Her children screamed as the officers handcuffed her and drove her away. Within hours, she was deported to the rough border town of Nogales, Sonora, with nothing but the clothes on her back. Her two-year-old daughter and fifteen-year-old son, both American citizens, were taken by the state of Arizona and consigned to foster care. Their mother's only offense: living undocumented in the United States. Immigrants like Elena, who've lived in the United States for years, are being detained and deported at unprecedented rates. Thousands languish in detention centers often torn from their families for months or even years. Deportees are returned to violent Central American nations or unceremoniously dropped off in dangerous Mexican border towns. Despite the dangers of the desert crossing, many immigrants will slip across the border again, stopping at nothing to get home to their children. Drawing on years of reporting in the Arizona-Mexico borderlands, journalist Margaret Regan tells their poignant stories. Inside the massive Eloy Detention Center, a for-profit private prison in Arizona, she meets detainee Yolanda Fontes, a mother separated from her three small children. In a Nogales soup kitchen, deportee Gustavo Sanchez, a young father who'd lived in Phoenix since the age of eight, agonizes about the risks of the journey back. Regan demonstrates how increasingly draconian detention and deportation policies have broadened police powers, while enriching a private prison industry whose profits are derived from human suffering. She also documents the rise of resistance, profiling activists and young immigrant Dreamers who are fighting for the rights of the undocumented. Compelling and heart-wrenching, "Detained and Deported" offers a rare glimpse into the lives of people ensnared in America s immigration dragnet." Using Arizona as a microcosm, this book explores the larger issues surrounding the massive human migration from Mexico to America including: the desperation that compels Mexicans to cross the border; the militarization of the borderlands; the pile-up of unidentified bodies; and much more.